As a parent, I do not like spending money on cheap things for myself or for my family. I think that overall it is a waste of money. I would rather save and buy something that costs a little more, but is better quality. This is really true when it comes to Halloween costumes. Last year was the first year that my children kind of understood that they had to dress up and walk around to get candy. So off we went to the stores to find the costumes that they wanted to wear. My son wanted to be Jake from Jake and the Never land Pirates, my daughter it didn’t really matter. After checking out a few stores, I was shocked at the poor quality of the costumes. I really didn’t want to spend the money on those cheap costumes. I proceeded to call my mom and ask her if we ever bought our costumes and if so, were they always that cheap. She informed me that we always made our costumes. She explained that it was cheaper and better quality to make our own, it may have not been exactly the same, but we didn’t know the difference. So off to the fabric store I went with a picture of Jake in my hands. We were able to create my son’s costume with a pair of sweatpants, a white t-shirt and some fabric. Was it exactly like Jake? No, but my son thought it was great. So what is going to happen this year? This year my son is going to be Batman, and my daughter is going to be a flapper. Here is how we are going to do it and not buy a specific costume. My son is batman, which really includes an all black outfit, a belt, cape, mask and a batman logo on his chest. So he will have a black shirt, black pants, I have already made him a cape, the belt and logo I will be making using a pattern online. The only thing that I didn’t really want to make was the mask, so my wonderful husband picked up a perfect better quality mask for $5. He will have the whole outfit for less than $15. The best part is that he will be able to wear the shirt and pants many times over. My daughter is going to be a flapper, which is really a fun dress with fringe on it. We picked up a pink one at a consignment event for only $12. It is a little big, but she can wear it more than once. The best part is it is a Children’s Place dress. All I need to make or buy is the headpiece. So for less than $15 she will be a flapper. The best part is that she will be able to wear it again and again. So how can you make your child’s Halloween costume this year? 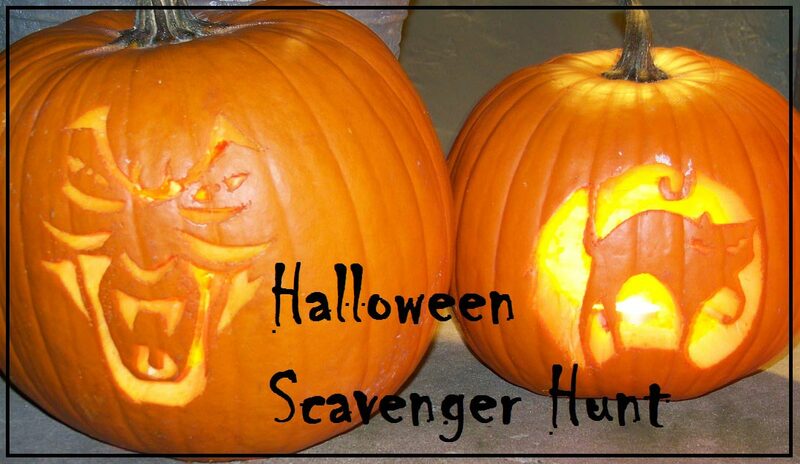 KC Adventures has a free Halloween Scavenger Hunt printable! Have fun! Digital Reflection has a great list of 50 fall activities. Homeschool Creations has a Fall Fun Leaves pack. Growing a Jeweled Rose has a list of 100 different crafts, activities, and Recipes to do with children. Here and here are some other fall activity posts. Days to Celebrate: National Watermelon Day! Today is National Watermelon Day! Watermelon.org has some great recipes, activities, and tons more all about watermelon. Kinder Themes has a whole lesson plan with different activities. Step by Step also has a whole lesson on Watermelons. Today in National Space Day! NASA’s website has great interactive learning tools about the program. DLTK has a great list of different activities all about space. Making Learning Fun has a variety of activities. Perfectly Preschool has a weeks worth of lessons plans on space. 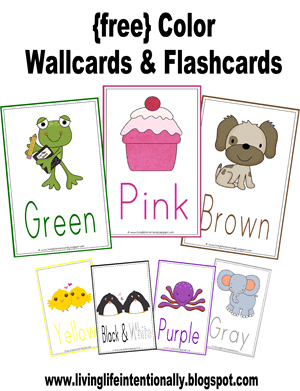 Educational Tool: Color Wallcards and Flashcards! Living Life Intentionally has great flashcards and Wallcards! Do you have any educational tools that you love? Please share! 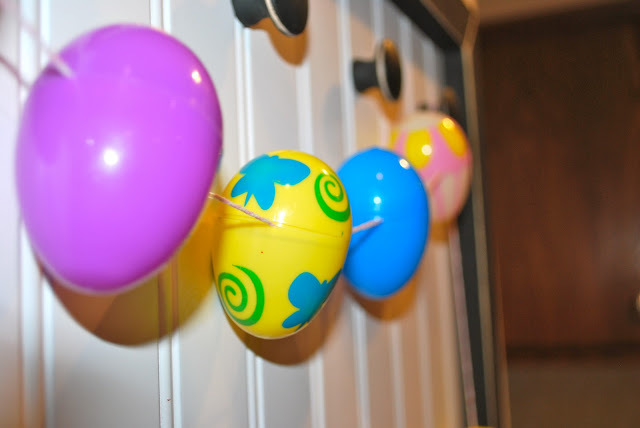 Family Volley has a great craft to make Easter Egg Garland with the plastic Easter Eggs. Please stop by and see a detail of how they made it! Do you have a fun Easter Craft that you do every year? Please share! In 1803 Ohio became the 17th state to enter the Union! Living Life Intentionally has a free printable pack about Ohio! 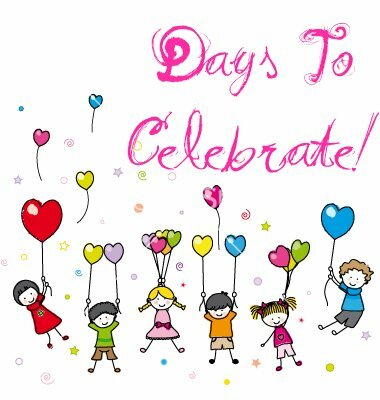 Days to Celebrate: Lola’s Birthday!